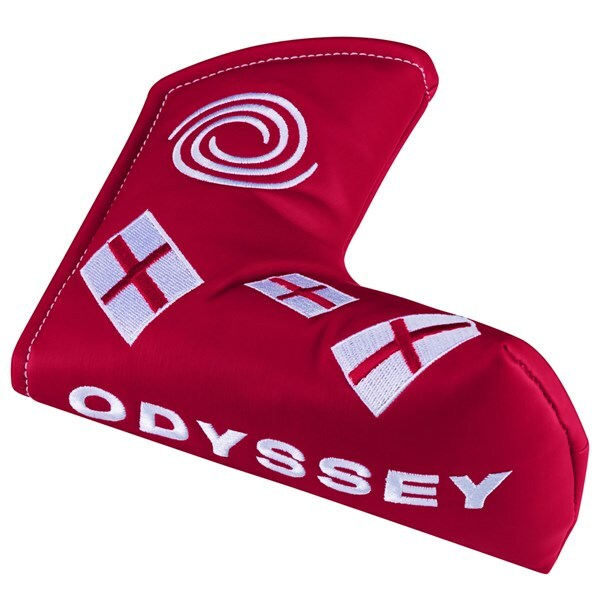 Show your patriotism with the Odyssey England Blade Putter Cover. This headcover will fit all bladed style headed putters. With all of the St George’s flags over the headcover your playing partners will be in no doubt where you are from but the main thing is that the headcover will protect the face and head of the most important club in your bag. With its magnetic closure system the headcover will stay on all the way through the round of golf. 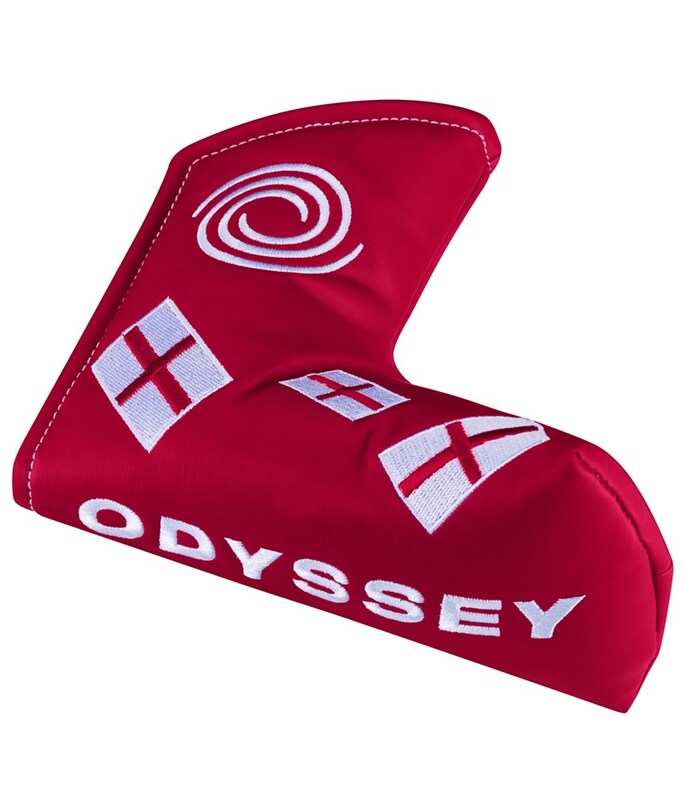 The Odyssey England Mallet Putter Headcover will help protect the head of your putter from knocking against other clubs in your bag but also show your fellow golfers exactly where you are from. 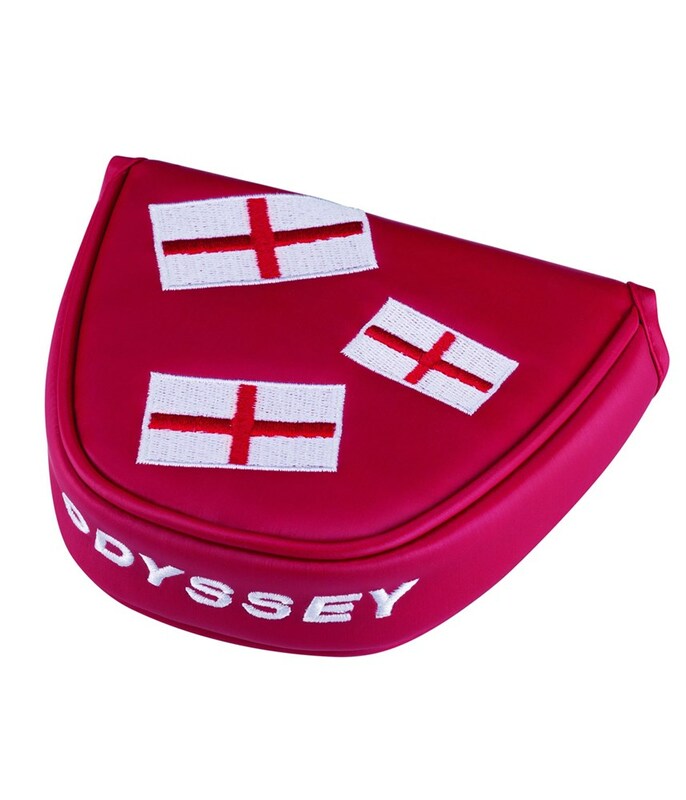 Smothered in St George’s flags the Odyssey England Mallet Putter Cover will fit the majority of larger putter heads with the exception of centre shafted mallets. 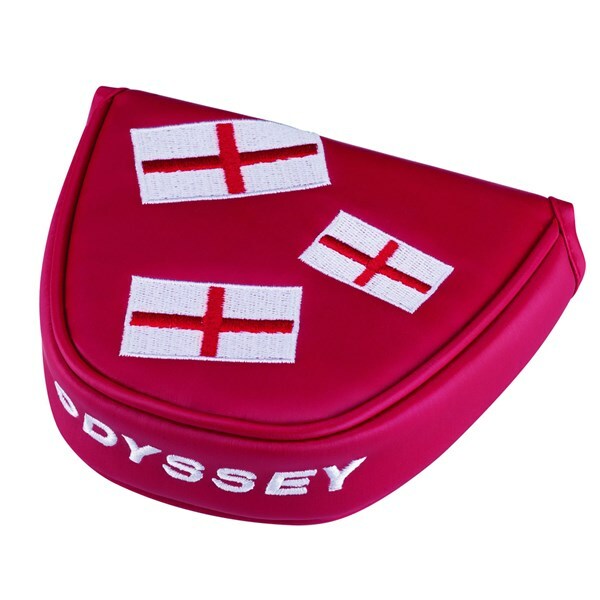 Odyssey have used a magnetic closure that will ensure that the headcover stays in place throughout your round of golf.